I’m doing a talk about cryptography at Securi-Tay 2014 on the 15th of January, up in Dundee, Scotland. The talk is aimed at people who are interested in cryptography from a practical perspective, but are put off by the slew of hieroglyphs and maths-speak that tends to plague the field. The talk is entitled “Breaking bad crypto without breaking your brain”. I promise that there are no Breaking Bad references in there, primarily because I seem to be the only person on earth that still hasn’t started watching it. Securi-Tay is a great conference, organised by Ethical Hacking students at the university, with some help from other nice folk and sponsors. I attended (and spoke) last year, and it was great from both technical and social aspects. There’s a really good line-up of talks so far, and it’s always great to see the student talks dealing with things from brand new perspectives, as well as the staple talks from professionals and seasoned researchers. Tickets are £20 a head, and there’s free booze after the con, so it’s an absolute bargain – come join us! When I moved into my flat, I found that the previous tenant had left behind his Sky Broadband router. Awesome – a new toy to break! Sadly I got bogged down with silly things like moving house and going to work, so I didn’t get a chance to play with it. Until now, that is. This isn’t the first embedded device I’ve played with. Over the years I’ve desoldered EEPROMs from routers, done unspeakable things to photocopiers, and even overvolted an industrial UPS unit via SNMP. The router I shall be discussing in this post, however, was one of the easier and more generic bits of kit I’ve played with. Now, a little about the device. The model is DG934, and the full part number is 272-10452-01. It’s an ADSL router supplied by Sky (also known as BSkyB) as part of their old broadband package, but it’s actually manufactured by Netgear. It’s got four ethernet ports, an ADSL (phone) port, and takes a 12V power supply. Internally, it runs on the Atheros chipset. Unfortunately, this being a UK-only device, there’s no FCC ID – if there had been, I could’ve looked it up on the FCC OET database and found all sorts of internal photos and test data, which is often valuable when looking at the hardware aspects. My first job was to power it on and get into the config panel. Since the previous tenant clearly wasn’t security conscious, he’d kindly left the device in its default configuration and I was able to log into the configuration interface using the default admin / sky credentials. I exported the config file to my machine, and took a look. In this case it’s plaintext, so there’s nothing to break here, but it’s not exactly good practice – it includes the passwords for WiFi and the configuration interface. Interestingly, the configuration site was available on both 80 and 8080. This seems to be the norm for many routers, but I have no idea why. UPnP on port 5000 is always a fun one to spot, and we’ll take a look at this shortly. Finally, there’s an unknown protocol running on port 32764. It’s a BSkyB DG934 Router. The firmware date is 2007-08-27. You can pull out stats such as total bytes sent/received, total packets sent/received, and uptime in seconds. Port mapping functions are available. SetEnabledForInternet isn’t present – shame, really, since it leads to a nice DoS condition. Sadly there’s not much you can play with here. Next, we’ll take a look at that weird unknown protocol on port 32764. When connecting to it, the string “MMcS” is returned, along with two binary IP representations: 255.255.255.0 and 0.0.0.0. I tried playing around with this, but honestly I have no idea what it’s for. Google returned a bunch of people asking what it was, and nobody with any real answers. Potentially it’s for Multimedia Class Schedule Server, but that’s speculation at best. Again, no luck at fun stuff here. Finally, let’s dig into the firmware. Instead of taking the device apart, desoldering the firmware EEPROM, and interfacing to it with a BusPirate to rip the data off, I decided to go the easy route and download the openly available firmware from Netgear. The file provided is a flat binary, with some interesting data inside it. It’s partitioned into various sections, with conveniently obvious data offsets (e.g. 0x10000). 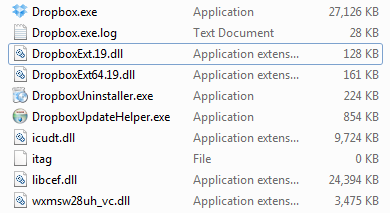 In order to properly dissect the file, I used binwalk. In BackTrack 5 it’s located in /pentest/reverse-engineering/binwalk/ and requires you to manually set the magic file via the -m switch. This gives us a pretty good idea of what we’re dealing with. First, there’s a Common Firmware Environment (CFE) bootloader, which is Broadcom’s alternative to U-Boot. There’s some irony here in that Broadcom and Atheros are competitors, yet CFE is being used on an Atheros chipset device. Anyway, there’s a bunch of LZMA junk after that which looks like various bits of firmware and a Linux kernel image. The bit we’re really interested in is the CramFS data. As a side note here, it looks like binwalk was a bit overzealous in identifying an ARJ archive at the end (hence the corrupted original name) so we can assume that the CramFS block takes up the remainder of the file. Aha! A fun fact about CramFS is that file systems have endianness as per the architecture they were created on. Since the router is big-endian and my box is little-endian, I need to convert it. Thankfully, cramfsprogs includes a tool called cramfsswap that flips the endianness of a provided image. Side note: if you get “wrong magic” as an error, you didn’t extract the right blocks of data, or the file system isn’t CramFS. Filesystem is big endian, will be converted to little endian. Excellent! Now to dig around inside the files. The three www prefixed directories contain the template files used for the administration panel. /lib contains the kinds of libraries you’d expect on a router, e.g. libcrypt, libupnp, libpppoe, etc. /lib/modules contains various kernel modules for the router, such as the push button driver and Atheros HAL. /sbin contains various binaries such as ifconfig, insmod, lsmod, etc. /usr/bin contains four binaries, including one called test. /usr/etc contains the default config files and various scripts. /usr/sbin contains various binaries for daemons (including reaim and iptables), as well as some for performing maintenance operations, e.g. WiFi control operations. /usr/upnp contains the definitions for the UPnP endpoint. 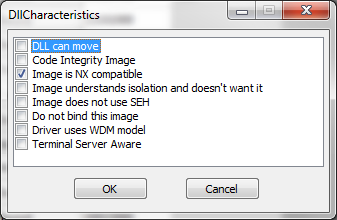 So we now know that Netgear use(d) SVN for their source control, that “Ethan” is the guy developing the firmware for the DG834, and that we’re running CFE 1.0.37-5.11 on the BCM96348 SoC IC. Hi, Ethan! I’m going to leave this here for now, primarily because it’s almost 4am, but also because the point of this blog post was to show just how much information you can dig out of a device without even touching it with a screwdriver, or opening a manual. Keep in mind that the techniques I’ve shown here should apply to many routers and other small embedded devices. At some point in the future I’ll get around to digging into some of their custom binaries, as well as their HTTPD. If I find anything interesting, I’ll be sure to post an update. Also, let me know if you’ve got any spare routers you want me to dig into when I get a spare few hours – I’m always happy to take donations!